Surveys Tony Tuckson through the many and varied prisms that reveal his critical role in and to art in Australia. Tony Tuckson's story is not a simple one. He was an artist - arguably Australia's most significant abstract expressionist painter - but he also played a crucial role in shaping the modern art museum in Australia. Tuckson had been painting long before his first solo exhibition in 1970 and although he was a dedicated and serious artist he was a very private one who exhibited rarely. 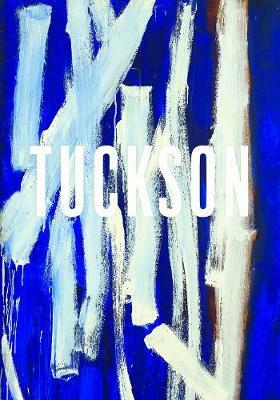 Tuckson began his twenty-three years at the Art Gallery of New South Wales in 1950 as an attendant. He quickly moved to assistant to the director Hal Missingham, and then to deputy director. For ethical reasons he kept his artistic practice separate, even secret. When his curatorial responsibility shifted to Aboriginal and Oceanic art, he began exhibiting. His first solo exhibition was in 1970 at Watters Gallery in Sydney. At the Art Gallery of New South Wales he introduced: dedicated spaces for Aboriginal and Torres Strait Islander art; electric lighting; a program for the care and documentation of the collection; the ability to show new media art; and spaces for education and general visitor programs; amongst many other things. Once of his greatest legacies is challenging the accepted thinking of the day to see Aboriginal art as `art' and bring it into the Gallery. With Dr Stuart Scougall, Tuckson spent time in Yirrkala and on Melville Island with Aboriginal artists resulting in the acquisition of a major work - the pukamani poles - which laid the foundation for the Art Gallery of New South Wales's collection of Aboriginal and Torres Strait Islander art. The complexities of this and the active roles of the artists will be revealed.